We are seeing a shift take place in the business world. 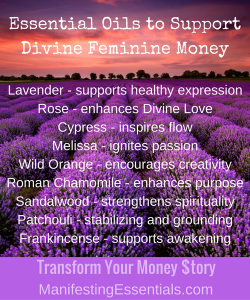 We’re on the forefront of balancing the business world and how we interact with money, by bringing in the divine feminine attributes into these systems. The past way of doing things worked for a while. As women, we gained some ground by doing things this way. But ignoring our natural gifts caused greater imbalance within the system and us as women. You see, women are the nurturers of our species. We are born to bring groups together; to share ideas and support the community (our tribe) as a whole. As people change, the system changes. People begin thinking differently, act differently, and have revelations about their true nature. As this shift is taking place in the business world, we are beginning to see the results. Companies that are blazing the trail in balancing the masculine and feminine qualities of business are seeing exponential growth. The philosophy has shifted from looking at the bottom line to finding win-win situations. 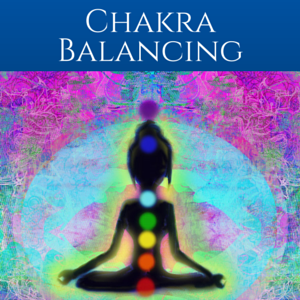 3 Ways to balance the masculine – feminine characteristics. 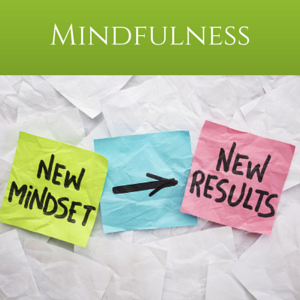 Be mindful – notice which system you currently operate from and consciously shift your behavior to bring in balance between both systems. 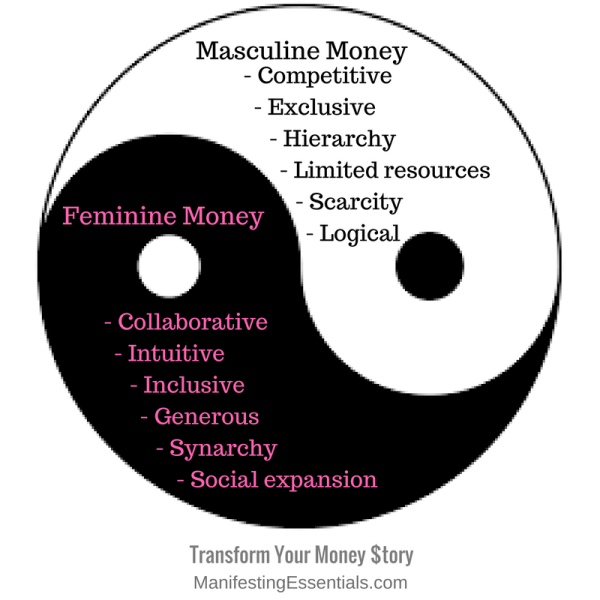 Find ways to practice the feminine characteristics of business and money. For example, if you work for a someone else, envision big success for them. Be abundant – For most people seeing is believing. Even if you don’t have a big bank account, be grateful for what you have. 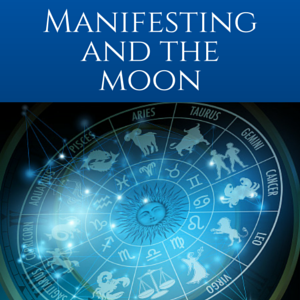 Look for symbols of abundance around you – great relationships with family and friends, abundant health, or whatever. Look at all the resources around you. Mother Earth provides so much abundance for us. Go throughout your day thinking about all the abundance around you. You attract what you think about most. Be magnetic – When we embrace our feminine side and operate from divine love, we attract more opportunities for prosperity, generosity, and compassion. 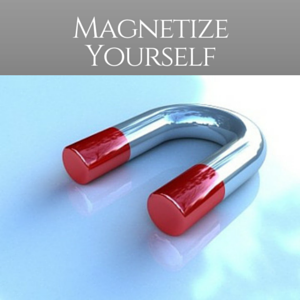 Scientists have discovered that the heart is the one organ in our body that is magnetic. So start loving yourself, everyone and everything around you. The more love you project, the more you receive. 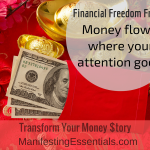 What are you doing this week to shift old patterns and interact with money from a feminine perspective? Leave a comment! 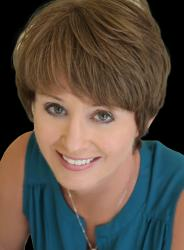 Jana is a metaphysical teacher, healer, writer, and speaker. As a retired tax accountant she passionately helps individuals and heart-centered business owners learn how to create financial success and manifest a purpose driven life. Hi Jana, one of the things I try doing on s daily basis is shifting into my feminine energy when I leave work. I take time out each day to feel that energy.. 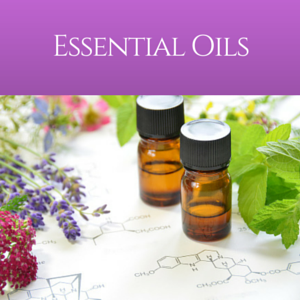 Example being taking a bath with rose petals and lavender essential oil instead of a shower while listening to music. It’s so awesome to hear that you consciously shift gears and step into your feminine energy!